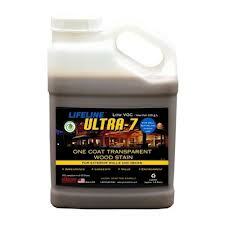 Ultra-7 is Permachink's highest performance one coat stain for walls and decks. Excellent UV protection. Clear coat with Lifeline Advance to complete the system. 300-400 sq. ft. per gallon. Water-based and extremely low VOC. Comes with a 5 year warranty for vertical surfaces.